Dual channel, 100W or 50W, configurable gain & response guitar amplifier. More info and pictures coming soon! The silver (brushed aluminum) faceplates shown in these pictures were made special for the prototype Juno amp. The production version will have a black face standard, just like our other amps. However, based on demand, we may add this silver face as an option in the future. Let us know what you think! The Juno™ amplifier is our first amp designed specifically around EL34s. It is a British inspired 3-channel modern hot-rod capable of a huge array of tones from clean, to ultra-tight percussive rhythms, to smooth thick leads. Each of the three channels has a Gain, Bass, Mid, Treble, Level control, and Bright switch. The dirty channels have a 3-position gain mode switch and Feel knob for fine-tuning the overdrive tones and low-end / mid-range response. This channel produces a wonderfully warm tone that aims to be the best of any channel switching amplifier. Where most other high gains amps seem to include a clean channel out of necessity rather than desire, the Juno™ has a no-compromises clean channel with its own dedicated preamp tube voiced specifically for huge headroom and sparkling cleans. With the included Gain control on the clean channel, one can also dial in a very cool vintage style distortion. The dual Juno™ gain channels are essentially identical and can be setup the same, or completely different. The Crunch and Lead overdrive is based on the signature high-gain sounds of the Orthos™, but modified in a way reminiscent of the classic 80s hot-rodded amps. A 3-way gain mode switch provides Crunch, Lead, and Clip modes for three very different types of distortion. The Juno™ features the same proven transparent and wonderfully performing effects loop as our other amps. The loop circuit is true-bypassable via the front panel Loop assignment switches, as well as a rear panel 1/4″ contact closure jack. In addition, the loop has independent Send and Return Level controls for maximum flexibility. The master section also includes power amp response controls, Top and Bottom. The Top control affects the response of the power section to treble frequencies, whereas the Bottom control affects the bass frequencies. These controls are great for dialing in the amp’s response to different speaker cabinets. They also allow the player to optimize the amp for different master levels. It’s especially useful for adding awesome bottom-end and clarity at low volumes. The power section consists of a quad of TAD EL34 tubes, standard. However, just about any octal power tube can be installed — 6L6GC, KT88, KT77, etc. Each tube is individually fused in order to protect the amplifier in the event of a tube failure. A Fault LED lights to indicate a fuse has blown and the tube is no longer functioning. One can also remove a pair of tubes as an easy way to run the amp at half-power. A custom wound USA made output transformer with a lower primary impedance turns this amp into an angry beast, and is one of the highlights of this amplifier. Parallel speaker outputs allow one to easily drive two cabinets with a total impedance of 4/8/16 ohms. Another one of the unique features of this amplifier is its universal power input. This allows easy use by any player around the world and eliminates the need for power converters or transformer swaps for shipment to any international country. Either a lit acrylic, metal lit, or standard solid logo is available on the face plate of the amplifier. The lit logos are capable of displaying any color for a number of different amp settings. This is all programmable via a DIP switch system on the back of the amp. A custom 2-button foot switch is included. Further, the amp is compatible with any standard 2-button 1/4″ TRS foot switch. Note: Once a jack is plugged into one of the rear panel control functions, the respective function is defeated and the plug takes priority. This means if the foot switch is plugged in, the front panel Channel controls will no longer function. Sonic perfection at it’s maximum. The ‘clip’ and ‘feel’ functions on this amp produce the best sounding guitar tones I have yet to come across. Sounds absolutly wonderful with and without pedals. Amazing cleans, insanely versatile distortion. You can get super thick and chunky to super tight and percussive with ease. This one took me by surprise. I played a friends Juno and was sold within 2 minutes so I went ahead and ordered one the next day. I couldn’t believe I dug an EL-34 based amp just as much as my beloved 6L6 KSR Gemini and Laney TI-100 with KT-77. I couldn’t stop playing it. The clipping mode is insane. All of the modes are. I can’t believe the feel this amp has along with its sonic qualities. Truly 5/5. 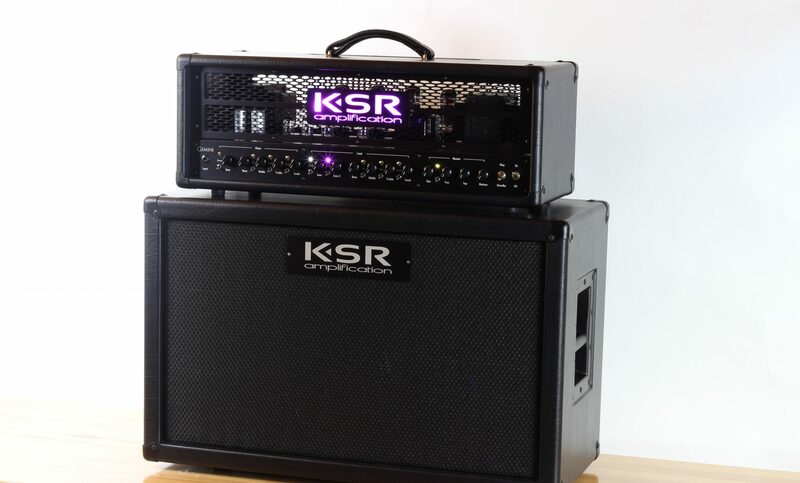 This is definitely an amp that will have you rethinking EL34 power. All too often, immediate comparisons are drawn to much older British amps that served their purpose, but weren’t especially known for incredibly large amounts of gain. This amp will change your mind. Cleans that are clear and full are shared with two high gain channels with an incredible amount of diversity. In the high gain channels, each has a 3-way toggle to change how the amp handles preamp distortion; a “clip” mode which is very reminiscent of the Jose Arredondo modded amps with a perfect balance of square wave complimented by a powerful and punchy power section very reminiscent of Van Halen, Vai and a host of other uber-shreddy hair farmers. Also available in high gain is a “crunch” mode which harkens back to the more classic British sounds one would expect from an EL34 based amp, and a “lead” mode that pours on the gain and transforms the amp into a blistering maniacal beast completely capable of modern metal. If you have to use an overdrive pedal with this setting, you should probably walk around wearing a crash helmet. One toggle, 3 incredibly versatile gain structures, and two separate high gain channels, so you don’t have to settle for just one high gain sound. Both high gain channels also include a “feel” knob with 6 settings that alter the mid shift characteristics, fatness and overall voice of the channel, giving a wide array of tones to explore and use, all of which are useful and well thought out, without a dud in the bunch. But, we’re not done yet, the power section can be enhanced with high end and low end EQ that are phenomenal at ensuring the EL34s in the power section are delivering just the tone you are after. Combine this with selectable output impedance, external bias points, an independent for all 3 channel assignable effects loop which allows you to determine which channels use the level adjustable effects loop (both send and return) bright switches for all three channels and master volume, it checks all the boxes. I am not a fan boi, I work with these amps, they are as vital to me as a scalpel is to a surgeon. Before I bought the Juno I had three EL34 amps to deliver what I needed. Now I have one, this one, and it ain’t going anywhere.